The most important thing to keep in mind when setting up a home office is to not purchase equipment that you won’t use every day. 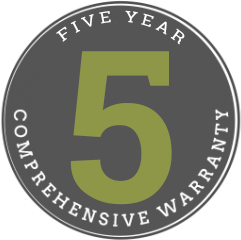 Why invest in a large, heavy duty printer when you only need to print something every few months? Next, you might want to consider a wireless hub so you can utilize the space however you please. No one wants to be chained to a desk when they are in a home office, so set up a space for sitting and a space for standing. 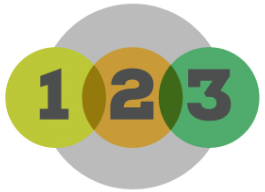 This little adjustment may help your productivity! Also, get a separate phone line for your office so that no one who calls in will get a busy signal. Finally, insurance matters on this equipment! Don’t lose your business just because a disaster struck and you lost everything. Many insurance companies have special policies for home workers. Your lighting and color choices are so much more important than people might think. In a perfect world, you would have as much natural light as possible. This light is balanced in all areas, so it will be easier on your eyes when trying to focus on either paperwork or a computer screen. If natural light just isn’t an option, you will want to consider a high-quality task light to help with late nights and stormy days. If your office is in a basement or another area without windows, there are daylight-replacement lights to help you stay energized and focused. Color is also important, as the psychology of color is very much real! Blues and navies are relaxing and luxurious colors that can soothe you, meaning that they are wonderful for a bedroom—but perhaps are not the best choice for a home office. Green, however, is considered to be the most natural of colors. Many brands add green to their office or even their logo to bring a feeling of freshness. Neutral tones, such as gray, white, tan, or ivory can all be played with and combined with other colors to evoke a mood without overpowering the space. Purple has been shown to encourage imagination and creativity, while red is known to energize. While too much of these colors won’t be what you are looking for, they can make great accents! You love your family, but if they continue to interrupt you and make noise, you are unlikely to get a lot accomplished. 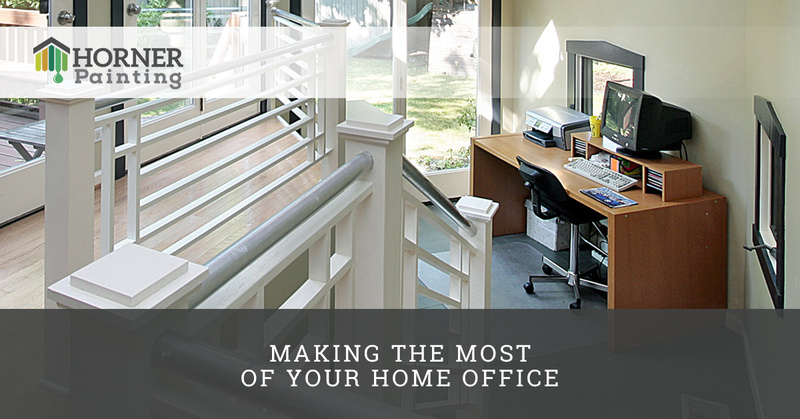 Make sure that your home office is set away from your other living spaces if at all possible. If you simply can’t make that work, you can use shelving to create a divide from the rest of the home. Adding a sign that says, “Quiet, please” or “No interruptions” will remind others in the home that you are working and it is not the time to distract you. You should be able to find everything you need in your home office without too much searching. Storage is mostly up to your discretion and preferences, but there are some general guidelines. First, knowing how you work is a great way to start. Do you tend to work from left to right? Organize your tools this way. Second, explore your options. Some people will prefer drawers whereas others will much prefer desktop organizers. Find what calls to you and give it a try. It’s common knowledge that sitting all day long isn’t great for your body. Keep yourself in good shape is crucial to long term health and wellness! Consider investing in the ergonomic options of the things you use. For example, adjustable chairs can help ease your back during the day. An ergonomic mouse, soft keyboard pads, and foot rests can help your workday be less strenuous on your body. 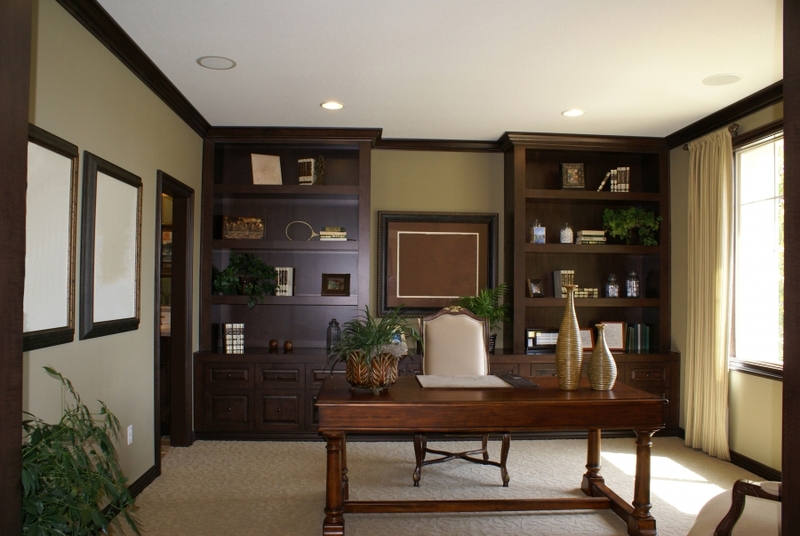 If you are ready to take the next step in creating your dream home office, give Horner Painting a call. We understand that your home office is going to help you as you achieve professional success, and we can’t wait to be a part of that. Reach out to us today. 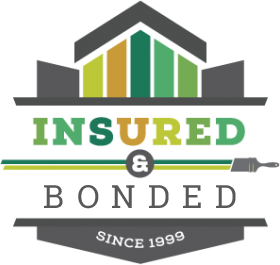 We are the interior painting contractors you can trust to get the job done well!